It finally feels like we’re starting to get settled down here in Virginia, thanks mostly in part to the kindness of strangers. After nearly a week of no furniture (bar an air mattress), a lovely guy from where I work spent his entire Saturday driving us around to get our cell phones and also hauled some furniture back to the house for us. Another guy from work helped us score an amazing deal (and a super fast install) with Comcast so we could have internet. People here are so friendly, so welcoming and just so warm that it continually amazes me. People at work are constantly telling me to let them know if I need anything, need a ride, if I want them to pick up lunch for me. It’s things like that that really make me feel at home here. And the house? The house is lovely–apart from the mutant crickets which seem to love nothing more than to ambush me and scare the living bejeezus out of me. It’s so big… everything here is big. From the mountains to the skies, even down to food portions (oops), everything here is extra large. I promise pictures of the house soon… it’s still very much a work in progress and I want a few things like some rugs and such to give it an even cosier feel–but I suppose that’ll come with time. 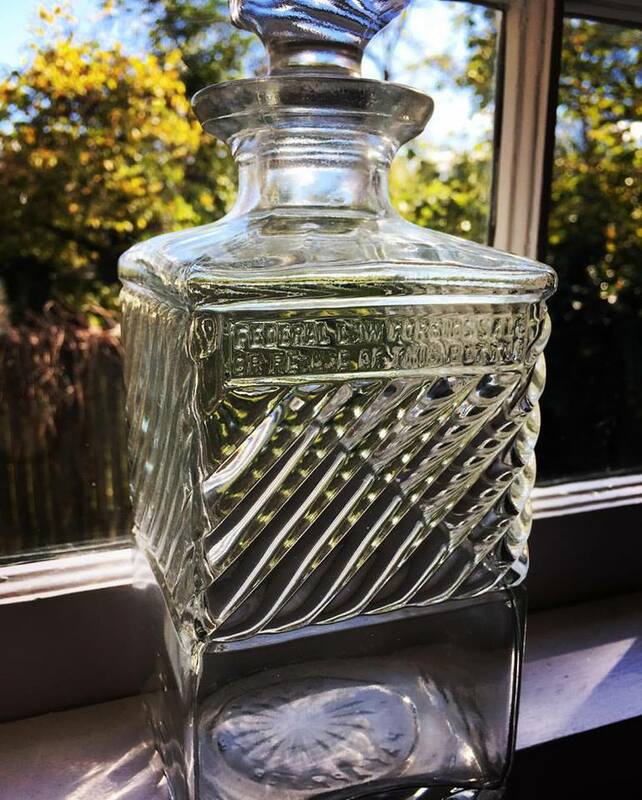 “Federal law forbids sale or reuse of this bottle” Like this bad boy isn’t going to get filled up with bourbon at the earliest opportunity. Thanks, sweetie! It’s been a crazy few weeks!